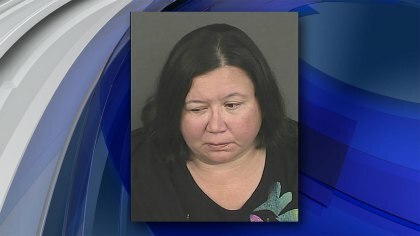 Sentence Too Light for Denver DUI Driver? People tend to have pretty strong opinions when they hear about particularly horrendous accidents involving Los Angeles DUI drivers. It’s no different in Denver, where an e-letter on the Denver Post website complains about the light sentence meted out to a woman who killed another motorist in a DUI accident back last April. April Wilson, 36, had a blood alcohol content of more than .21 when she killed 27-year-old Nathan Real, who was riding his motorcycle on the opposite side of the road. Wilson was allegedly traveling more than 60 mph in a 30 mph zone when she crossed over three lanes of traffic and slammed into Real. The collision sent Real’s cycle into a concrete trash can; he ended up on the ground, fatally injured. According to a story in the Post, Wilson had been drinking at a bar near the crash site and had promised the bartender that she wouldn’t drive home. While facts presented in the media suggest that Wilson might have been responsible for the accident, she wasn’t the only one reportedly intoxicated that night. Police said that Real was ALSO driving under the influence. Police had originally charged Wilson with felony vehicular homicide, but she agreed to plead guilty to lesser misdemeanor charges of DUI and careless driving resulting in death. The judge sentenced her to 180 days of home detention. She also has to complete a substance abuse program and pay almost $6,500 in restitution. Pleading guilty to misdemeanor charges instead of risking conviction on a felony charge might have been a good move for Wilson. Under California Vehicle Code 23153 (a) and (b), DUI drivers found guilty of a felony face a minimum of 180 days in jail—and they can spend time in a state prison instead of a local jail.